Dauntless, the co-op action role-playing game in development by Phoenix Labs, will be going into open beta soon. Following the closed beta, which has seen over 100K players exploring the Shattered Islands and slain monsters, the team confirmed that their game will be available to all players from May 24th. Accompanying the open beta will be the opening of an in-game store including a variety of cosmetic and vanity items. The game will also feature no pay to win mechanics and no loot boxes. The Dauntless Open Beta marks the next phase in an ongoing 4+ year journey of development, feedback, and iteration including a deep, community-driven Closed Beta, which has been available since September 2017. Focused on making great gaming experiences for gamers to share together, Phoenix Labs has worked closely with the community to sharpen vital aspects of the Dauntless experience and drive the vision for the game forward. The Open Beta also marks the end of the Founder’s Program, an opportunity for Slayers to receive exclusive Founder’s rewards and early access to the game. More than 75,000 Slayers have taken part in the Founders Program contributing to the early development of Dauntless. 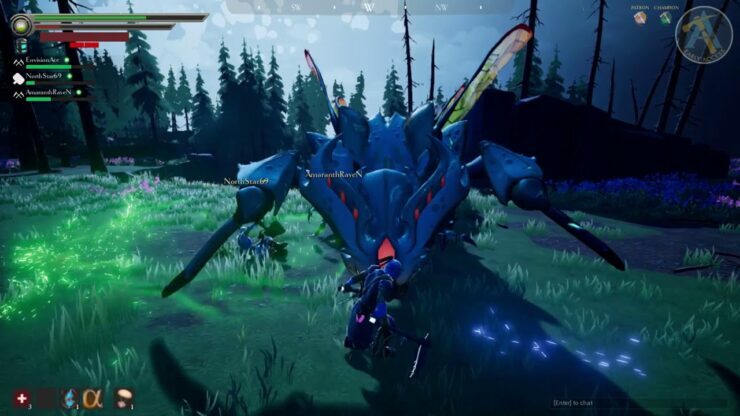 The Dauntless open beta launches on May 24th. More information can be found on the game’s Official Website.